“The starting point for each financial institution will depend on its business strategy, market position and capabilities. But all must consider how they can reshape their distribution models, improve their value propositions and develop end-to-end consumer-centric journeys to increase growth and customer satisfaction” says Boston Consulting Group. 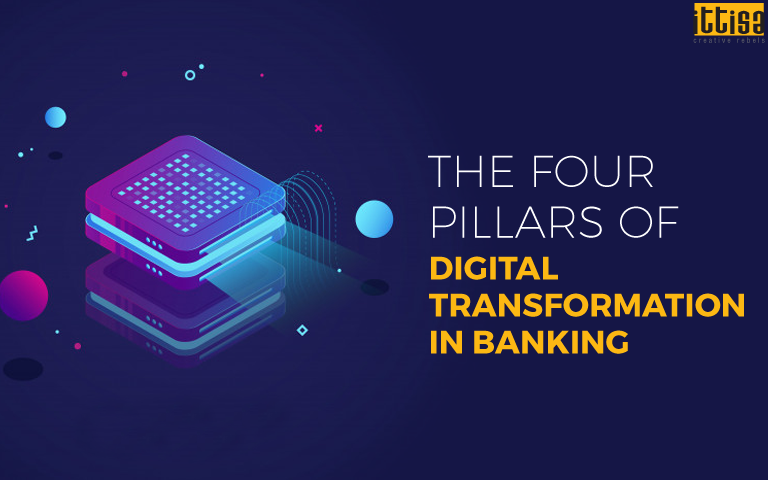 4 out of 5 institutions believe that a digital upgrade will radically change banking and absolutely transform the industry’s competitive landscape. But according to a research, 43% people confess that their organisation is not well-equipped with a digital strategy. Due to the ever-evolving customer demands and various other market pressures, financial institutions realize that digital transformation is more than just adding new social or mobile applications. Banks are looking for innovative ways to drive efficiencies and move to cost-cutting and a more acute banking organization, having the correct platform for adding digital processes and services. These can be achieved through transformational outsourcing, re-platforming, cloud computing, automation, SAAS and IT modernization. Big data provides noteworthy opportunities for banks to surpass their competition. Digitizing customer journey means moving data onto a cloud platform which provides a 360-degree view of every customer. With this kind of exhaustive data, banks can fetch information and improve their services and create more value. Big data allows the use of artificial intelligence, blockchain and IoT to plan and gain a competitive edge over other financial institutions. New and advanced technologies allow banks to strengthen customer engagement with personalized and unconventional offerings. Blockchain and artificial intelligence technologies are creating new paths of conducting business. The blockchain is in the limelight now because of its ability to reduce fraudulent activities in the banking sector. It can also be used for cross-border payments to reduce the processing time to minutes from its standard time which is three to six days. The technology is already being used in other financial areas like trade management, private equity asset transfers, mortgage, loan records and customer service records. Due to the high risk of cyber crimes enabled by the new digital economy, there is a crucial need for computing platforms that will provide greater agility than before. Restructuring processes and business models is the most important aspect of a bank’s successful digitalization. Leveraging unprecedented capabilities in a cloud organization can speed up dynamic digital transformation as well as deliver improvements in business-wide processing. Digital transformation is not only about providing online and mobile functionality. Banks that run on the digital core can experience reduced costs and streamlined processes. This end to end integration also assists in providing a flawless customer experience which is more engaging. It also creates space for further digital transformation with updated digital technologies which include artificial intelligence and blockchain. True digital transformation has an impact on the entire organization and requires embracing and maximizing the value of digitalization in all sectors of business. It is now time for the traditional banking systems to combine digital speed and human interactions which are extremely crucial in the customer journey.